Business disputes are often resolved by arbitration. Courts encourage arbitration and almost always enforce arbitration agreements. Arbitration is viewed as capable of producing fair decisions more quickly and efficiently than litigation and at lower cost. But it often fails to meet these objectives. Having over forty years of experience in litigation and arbitration of business disputes and service as an arbitrator in numerous cases, I believe that arbitration can be a good way to resolve commercial disputes. Much depends upon the capabilities of the arbitrator. A good arbitrator must recognize that arbitration differs from litigation in important ways, and must exercise skills uniquely applicable to the arbitral process. For example, arbitration exists because the parties agreed to it. There is usually an underlying contractual or commercial relationship. Understanding that relationship and its context is part of resolving the dispute. My work over the years has given me significant experience in many commercial segments and I can draw on that experience to reach an informed understanding of the case. An arbitrator must have good management and leadership skills. Complete familiarity with the governing rules is essential. Establishing and encouraging adherence to procedural schedules is the key to reducing time and expense. Arbitration works well if it is managed well. 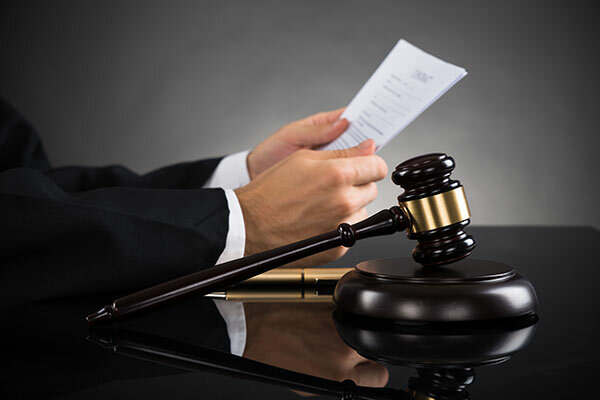 An arbitrator must be dedicated to the case. While unavoidable schedule conflicts sometimes arise, the case at hand must be the arbitrator’s highest priority, and should not be interrupted or delayed by other matters. The arbitrator must set aside sufficient time to study and evaluate the submissions of the parties prior to the hearing, and afterwards to render a complete, thoughtful and timely award. The most significant differences between commercial arbitration and litigation relate to discovery and motion practice. These two elements are the leading causes of excessive time and expense. Discovery is often not permitted or significantly curtailed in arbitrations that occur outside the United States. “American style” discovery is disfavored in most other countries. In the U.S., where reasonable discovery is permitted, the arbitrator has an important role to play in helping to tailor discovery around relevant issues. Dispositive motions are appropriate and should be considered when they are truly dispositive. In many instances, however, attempts to dispose of all or part of a case in pre-hearing motions are more wasteful than they are worth. Unlike trial judges who have a responsibility to limit issues presented to a jury, arbitrators usually allow the parties to present their cases at a hearing rather than curtailing a case based on a dispositive motion that is not clearly meritorious. Indeed, a good arbitrator wants to hear the case fully before making a decision, avoiding the risk of a mistake in a premature ruling on a dispositive motion. Similar considerations inform the admission of evidence. Applicable rules of evidence should be applied strictly and fairly. At the same time, arbitrators need not be concerned about limitations of evidence that are necessary in a jury trial. A good arbitrator will be patient and will hear the case fully presented before rendering an award. And when a case has been submitted, the arbitrator has a responsibility to render a decision and to complete an award in the appropriate form within the time prescribed by the arbitration agreement. As the world shrinks and business conflicts cross borders, arbitration becomes the most, and in many cases the only, realistic means of resolving commercial disputes. To be effective an arbitrator must have special training, experience, and skills. Having received the training and acquired the necessary experience over many years, the opportunity to serve as a sole arbitrator or panel member is greatly rewarding. My arbitration practice is committed to fairness, objectivity, impartiality, knowledge, competence, timeliness and efficiency.